When I first heard of Naturopathic Medicine, I had no idea what it was. Part of me thought it was some energetic voo-doo method that helped people by getting them to simply think themselves back to health and by taking lots of expensive supplements and vitamins. They also avoided medical intervention and didn’t prescribe drugs. When I started working with a naturopathic doctor, I realized that I had many stereotypes about that profession and had a lot to learn. Since then, I’ve learned that it’s deeply rooted in science and, even more importantly, is common sense. I recently sat down with Julia Segal, Naturopathic Doctor at Body Harmonics, to gain more insight into her practice and her approach to Naturopathic Medicine. Here’s a transcript of our interview. LARISA: How did you get interested in Naturopathic Medicine? JULIA: Growing up, I was into nutrition through a combination of influence from my parents and issues I had with my own health. When I was ten, my dad gave me a book on nutrition and food combining and I delved in. Even back then, I knew I had issues with stomach health and felt compelled to explore it. LARISA: What does stomach health mean to you? JULIA: As a kid, I often had stomachaches. I felt better when I curled up or bent forward, so I referred to it as “bend over sickness.” Later on, I discovered I had some serious food sensitivities. It took a while to sort things out. In the end, diet and some supplements did the trick for me. When my stomachaches stopped, I felt like my head was more clear and my mood improved as well. It was amazing to discover how my confidence, concentration and entire state of mind were affected by my gut issue. LARISA: When did you know you wanted to be a naturopathic doctor? JULIA: When I entered a university, I planned to be a medical doctor. My prerequisites were all lined up as part of my B.Sc. program. One summer I did some market research for an Integrative Medicine company. I’d never heard of Naturopathic Medicine prior to that. Once I learned about it, I knew that was what I wanted to do. It was tough, because my family kept insisting on my becoming a “real doctor.” It took a lot to plunge into it. But I’m so glad I did. LARISA: How is Naturopathic Medicine different from “real” or Western Medicine? JULIA: When I ask clients what they think Naturopathic Medicine is, they often say that it uses natural remedies instead of pharmaceuticals. While I don’t disagree, that’s not really the point. 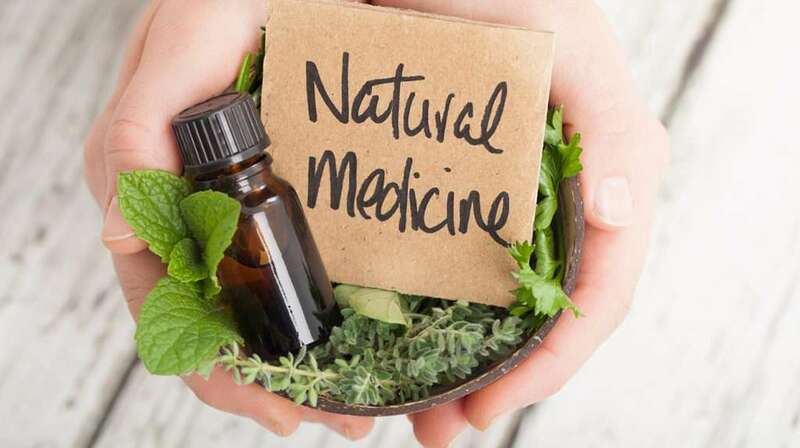 Naturopathic Medicine addresses and restores the underlying processes that make a person healthy. If you’re unwell, something in your body is leading to that symptom. You and I dig in to figure out what’s causing the problem, then work together to address the actual cause of the problem using natural treatment tools. What most of my clients find surprising is that not only does their symptom go away, but other things in the body feel better too. LARISA: What else feels better? JULIA: What I hear most often is that energy increases, sleep improves, digestion regulates and motivation to get off the sofa goes way up. These seem like simple things, but they have a huge impact on the quality of your life. LARISA: What treatment tools do you incorporate into your naturopathic practice? Nutrition, lifestyle and counseling are foundational tools of Naturopathic Medicine. I also use herbal medicine, homeopathic medicine and clinical nutrition (supplements), because these don’t require willpower to work. They simply alter the way the body systems are functioning. Traditional Chinese Medicine and Ayurveda also inform the way I practice. LARISA: Homeopathy has been getting a lot of bad coverage in the media lately. Why do you think that is? JULIA: Homeopathy is a very individualized treatment. Like many things, there’s no “one size fits all” treatment. Unfortunately, that makes it difficult to prove through research study as it doesn’t fit into the dominant scientific paradigm. For example, in a typical research study, 1,000 patients with headaches would be given the same remedy to target the symptom. In the world of homeopathy, the same remedy wouldn’t be given to everyone to treat their headache. Each person would get a remedy to address their unique symptoms, including the headache and other key details that are taken into account. Also, there isn’t a lot of profit to be generated through homeopathic treatments. They are not patentable, so there isn’t much funding for great big studies. Meanwhile, powerful lobbying organizations don’t want this type of medicine to be popular, because it could get in the way of their highly profitable pharmaceuticals. LARISA: So you don’t believe in pharmaceuticals? JULIA: Actually, I do think there’s a time and place for pharmaceuticals. I have a good friend suffering from an autoimmune disease and biological drugs keep her alive year after year. I also have many patients who had a medication that helped them at some point. I’m very grateful there are medications that can make a big difference. On the flip side, many go to a doctor with minor issues and come out with an unnecessary suggestion for a pharmaceutical. For example, if you see a medical doctor with a minor skin concern, you’ll likely leave with a recommendation for a cortical steroid cream that suppresses the symptoms. Unfortunately, this doesn’t address the underlying issue and won’t work long-term. It’s a band-aid solution. If a patient of mine is in discomfort and needs to take the cream to relieve pain, I don’t judge them for turning to pharmaceuticals. But I also encourage them to address the root cause. In North America, as a culture, we tend to take better care of our cars than our bodies. If something is wrong and the engine light turns on, we go to a mechanic and investigate. We don’t cover the light and forget about it. And in the world of health and wellbeing, many symptoms are being covered up unnecessarily. LARISA: What kinds of symptoms are you referring to? How might someone know to check their “health engine”? JULIA: The greatest symptom is energy level. Many people these days are chronically exhausted and don’t function at their best. They may be used to being tired and sluggish, but it’s not how the body was designed. Digestion is another big one. You should go to the bathroom every day, but there are many people that don’t. Heartburn, abdominal discomfort, bloating and cramping are also signs of digestive issues. People live with them thinking it’s normal. Yes, it’s common, but it’s definitely not normal. Other symptoms are menstrual cramps and debilitating symptoms around the menstrual cycle. Those are things that women don’t have to live with and can really be improved. Again, these are considered normal. LARISA: What surprises your patients the most? JULIA: When they get long-lasting results without suffering through intense treatment. Part of my process is educating people so they can make better choices happily and willingly. Some are afraid they can’t change, if they can’t achieve perfect health practices. But a few small, simple changes can help them lead to quick and easy results. I always love it when someone walks in and tells me “I was at a party and three friends told me my skin was glowing” or “I feel so energized and haven’t needed an afternoon pick-me-up in more than three weeks!” These are the simple things in life, but can make a world of difference to improve one’s day. And when the days are stacked one on top of another, they lead to an improved life.